Greensboro Real Estate Company About Smith Marketing, Inc.
Buying or Selling a Home in Greensboro or Surrounding Areas, Get Experienced Fastidious Help. Smith Marketing, Inc. will help counsel you in the process of selling your home and purchasing your next home. We understand how to make change easier for you. The whole concept of selling a home is scary but we can help you understand what to do, when to do it and which home improvements will make more money for you. Call us to day to consult with you in changing your address. 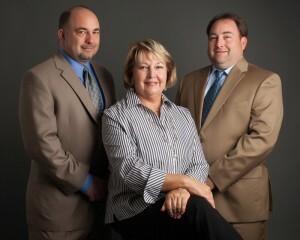 Smith Marketing was formed in 2001 by Betty A. Smith and son, Jason T. Smith. It is a full service real estate firm established from 27 years of successful real estate experience in the triad area of North Carolina. In 2005, son, Jeff Smith, joined Smith Marketing, Inc. Jason and Jeff serve as Senior Vice Presidents, and Betty Smith serves as its President. It is a full service residential real estate company with two divisions. One division specializes in existing home sales and purchases, relocation services, and investment services; the other division is a new homes sales division with an emphasis on large communities (PUDs). Smith Marketing consults with developers on land plan marketing strategies from the ground up, and handles the on-site sales operations complete with marketing. Smith Marketing does consulting on a limited basis in NC, SC and VA. In February of 2009, Smith Marketing joined forces with Allen Tate REALTORS. The two companies have proven to be a competitive force in the market as Smith Marketing Is one of Allen Tate’s dominant large teams in selling and listing homes, having been named the #1 Selling Team in the Triad for each year since 2009! We want to put our expertise to work for you!